Located within a five minute walk of Spring Brook’s Clubhouse, this huge, six bedroom home is the perfect family and/or friends gathering headquarters. The Aspen Chalet has three levels including a finished basement with a pool table and recliner seating ideal for movie night or the big game. 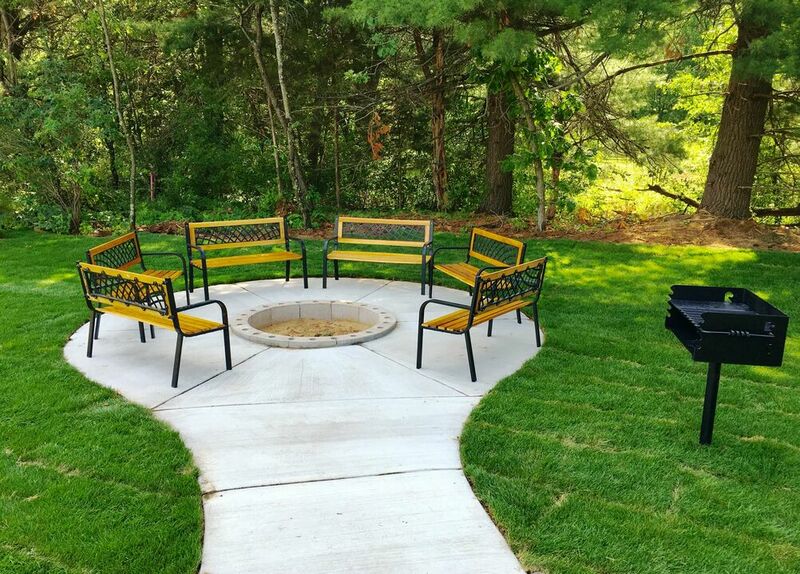 The exterior features a charcoal grill, large covered patio and a campfire ring located just off the deck. Perfect for all events from family vacation to corporate retreat, it sleeps a maximum of 18 people. This home is loaded with sleeping arrangements for a variety of guest lists. The upstairs has two bedrooms each with a king bed and TV. Additionally, the loft area provides two twin beds for added sleeping accommodations. There is a second full bathroom on the second floor for added convenience and privacy. Relax the evening away in the finished lower level which boasts an amazing recreation room with pool table, wet bar and elevated viewing area with a 60" TV. The fifth and sixth bedrooms (2 queen beds in the first bedroom and 1 king bed in the second, all with TVs) provide additional sleeping accommodations with yet another full bathroom to share. Wi-Fi is complimentary. The Aspen Chalet is a short drive to Spring Brook’s Clubhouse, which is home to the Spring Brook Sports Bar & Grill, indoor/outdoor pools, fitness room, golf course and pro shop. 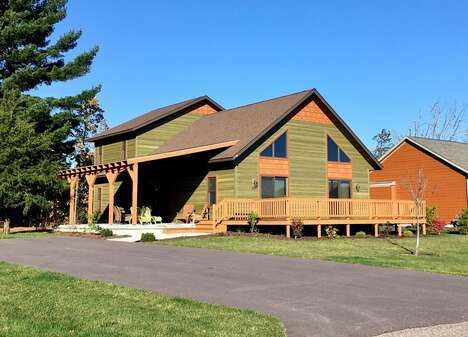 Home sleeps maximum of 18, rates based on 12 people over the age of 3. Extra guest fee of $15/night per additional guest applies. Security Deposit of $500 required.